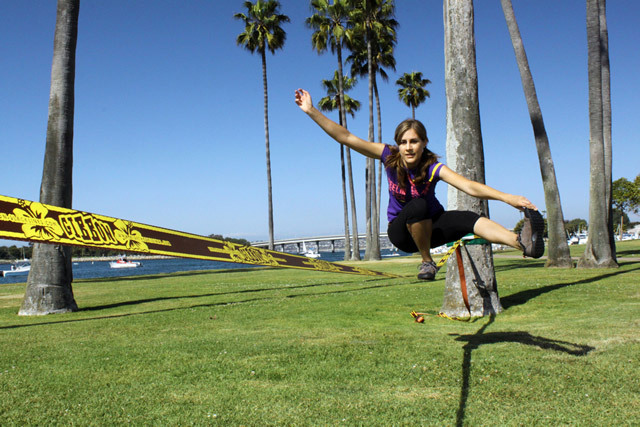 The Gibbon Travelline is lighter and more compact compared to other slacklines. It is ideal to take on travels and also for fitness, yoga or similar exercising. 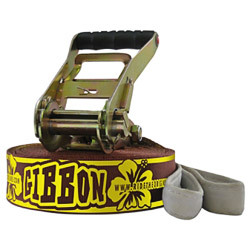 Like other Gibbon lines it is very easy to set up and use. Compared to other Gibbon lines, Travelline uses a smaller ratchet and thinner webbing – which makes it lighter and more compact. As the name suggests, ideal to take with you on travels. The setup system stays the same – just two parts to join with the ratchet, you are ready to walk in a few minutes. The thinner webbing creates a soft, stretchy feel – while that makes it impractical for jumps (read more below), it's ideal for all kinds of static poses, fitness and yoga. And combined with the rubber prints on top of the webbing, the slackline is very comfortable to walk. 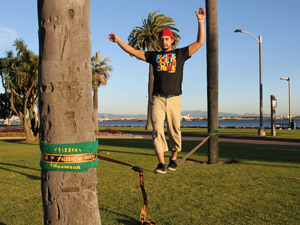 While there are many advantages of the compact size of this line, there inevitably have to be also some drawbacks: Travel line is not designed for jumping and bouncing tricks – the stretchy webbing does not offer enough power to throw you in the air and also the ratchet is not that robust and can be damaged. So if you would like to perform some aerial tricks, we would suggest the Jibline. 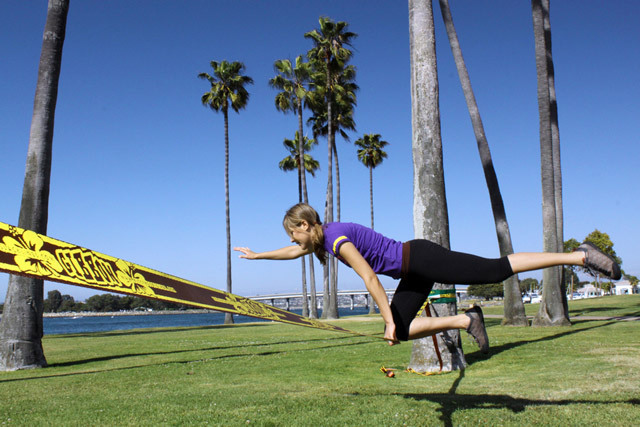 Conclusion: If you are looking for a slackline for exercising, fitness or yoga (or just a compact line you can take on travels easily), Travelline is the right one for you. However, if you are not interested in these activities, there are slacklines that.will suit you better – so please read our guide how to choose the right one for you. 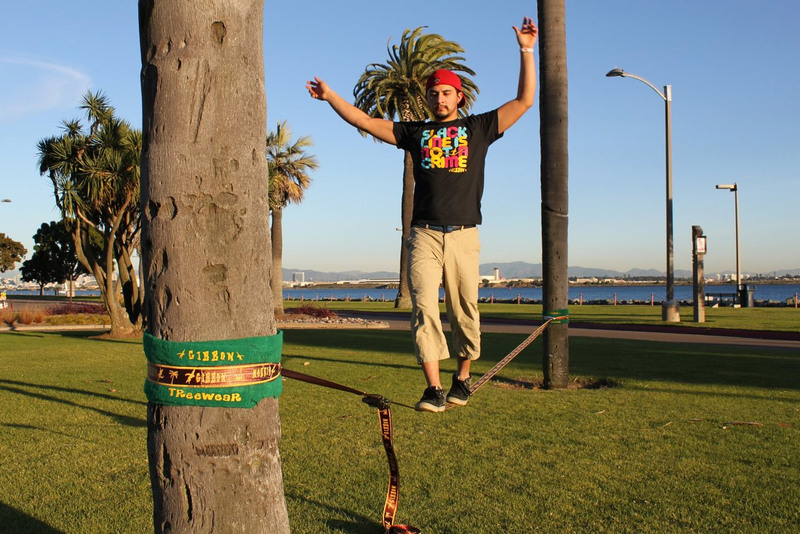 Which slackline is best for tricks? 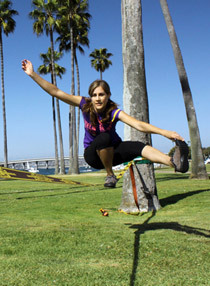 Which slackline is the best for beginners? Which slackline is the best for kids?